A down-valuation is when a surveyor or mortgage lender puts a value on a property that is less than the agreed sale price. Although down-valuations generally only happen when the economic climate is weak, they can still happen to any property, irrespective of the general overall state of the housing market, for example where a lot of modernising or repair work is required, or simply when a valuer believes an agreed sale price is too high. There is currently some evidence of this happening in London where the property market has been weakened over the last couple of years. And the important thing to remember is that, very often, whatever happens in London ends up rippling out to the Home Counties. It is therefore entirely possible the phenomenon could work its way up the A41 to properties in Berkhamsted & Tring in due course, and this is something we have a careful eye on. Although, of course, we may escape it! The main thing to remember is that all is not lost! 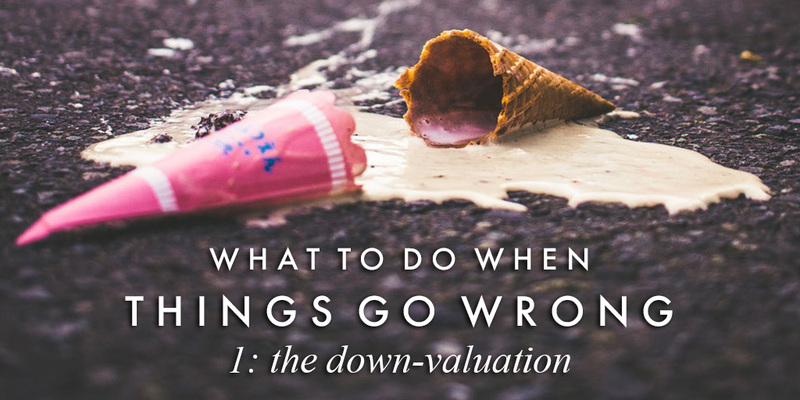 A down-valuation does not automatically mean the end of your sale and there are a number of options open to you that can either have a down-valuation reassessed, or reduce its effects. Not all valuers are local and there may be qualities of your property that are not present in other homes nearby that are being used for comparable evidence. A good estate agent will have supplied the valuer with details of comparable properties to back up the price agreed on your property. Can another valuer be instructed? A second professional opinion could perhaps be sought. If the buyer is unwilling to cover the cost, you could offer to pay upfront and be repaid should the new value agree with the price. If the lender won't agree to send in a second valuer, see if an alternative lender is viable. If your buyer has a substantial deposit, they may not actually need the mortgage valuation to match the agreed sale price. They may simply agree to cover the shortfall themselves. If you're in a chain, could the difference between the valuation and the sale price be shared among each property in the chain? £10,000 might be a big hit for you, but £2,500 to each link in a chain might be less of an obstacle. If you are buying another property, particularly if it is more expensive, would the owners take some money off their price to cover the reduction in your sale price? It may not make such a big difference to them, or it may just be more possible. If all else fails, can you simply take it on the chin? Wherever you are moving to, the longer term gain in value will surely surpass whatever reduction you take now your sale price.